•In 2019, 22% of the UK pledged to eat a healthier and more nutritious diet. •Nutritional Therapist and Health Lecturer at The Institute for Optimum Nutrition Mike Murphy, provides top tips on how to obtain the best nutritional advice and myth-busts the fake food news lingering on the internet. 22% of the UK are thought to have consciously pledged to have an improved, more balanced and nutritionally healthy diet in 2019 but as we begin February many are slinging the avocados in the bin, packing away their trainers and replenishing the biscuit tin, their vow for 2019 to be the healthiest year yet broken. 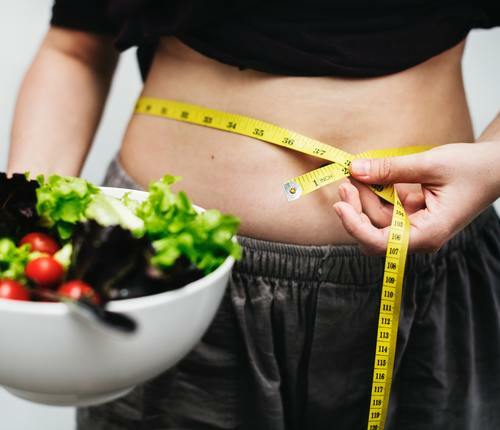 For those that are culprits of this and are feeling exceptionally guilty, new research conducted by The Institute for Optimum Nutrition (ION) provides soothing reassurance that maybe failing to embrace a healthier diet simply isn’t our fault. It has been identified that only 1 in 3 Brits (30%) have a good understanding of what actually makes a good diet. With the internet and the media providing such large amounts of conflicting and deceptive nutrition advice, it is unsurprising that so many fail at maintaining a healthier lifestyle. A survey of 2001 UK adults has explored the UK’s knowledge on nutrition and discovered it is very limited. 78% see the importance and value of nutrition on every day wellbeing, with 45% understanding that nutrition impacts their health and 33% identifying that nutrition effects mental health but almost half (49%) of those surveyed said they would love to have a better understanding of nutrition with 26% even admitting that they find nutritional advice confusing and conflicting. When seeking nutritional advice 21% of the UK turn to social media as a source of information despite many social media sites containing fake news and unproven advice. Retaining information from dubious sources could explain why 6% of the public believe that carbohydrates are an unhealthy component to a diet and 7% think fat should be avoided. With false nutritional advice invading our social media news-feed, it can be challenging to obtain accurate and reliable information. So to add some clarity, Mike Murphy, Nutritional Therapist at Saffron Wellness Ltd and a Health Lecturer at ION myth-busts the most common fake food news and provides his top tips on how to seek out the most reliable nutritional advice. In fact, the opposite can be true. Low-fat diets are ineffective at long-term weight loss. Our brain is more than 60% fat and the fat in our diet helps to promote satiety and a more stable metabolism. The trick is to focus on healthy fats such as those found in nuts and seeds, oily fish like salmon or mackerel as well as extra virgin olive oil; and to not eat these fats in the presence of too many starchy carbs. Whilst it’s true that dairy products are high in calcium, so too are many other foods; Dark leafy green vegetables such as Kale have comparable calcium levels while sesame seeds contain more than eight times the calcium of cow's milk, and both these sources are also richer in Magnesium and Vitamin K which are also needed for strong bones. Although egg yolks are high in dietary cholesterol, they are chock full of important nutrients and the advice to restrict their consumption has now been eliminated because they don’t actually raise your blood cholesterol much. Cholesterol is one of the most important biochemicals in the body and only a small amount comes from our diet - most of the cholesterol we need is made by our liver and consuming eggs has actually been shown to improve HDL (good) cholesterol. Meat has been getting a lot of bad press lately. Putting the environmental argument aside, the World Health Organisation have labelled red meat as a “probable” carcinogen to humans. They use the word “probable” because the studies don’t separate all the other factors that can be involved in cancer development, like a lack of fruit, vegetables and fibre intake as well as exercise and smoking and alcohol consumption. The main issue is with cured, smoked and processed meats which can contain chemical compounds (nitrosamines and polyaromatic hydrocarbons) that have been found to damage DNA that could potentially initiate the cancer process. So if eating less red meat is on your agenda, for whatever reason, start by cutting back on the cured, smoked and processed forms and when you do eat meat, stack your plate high with vegetables and don’t worry too much. Sodium is an essential mineral that we cannot survive without. The problem is when we eat too much of it, as studies do link high salt intake to high blood pressure. The real issue though is the source of salt in our diets. Many processed foods are very high in salt and so people who consume too much salt are typically guilty of consuming too many processed foods which are generally unhealthy and lack nutrients. If we base our diet mostly around unprocessed foods we don’t have to worry about salt. For those that want to go deeper, one of my favourite websites for reliable and up-to-date nutrition information is the Linus Pauling Institute https://lpi.oregonstate.edu/mic. Here you’ll find everything from facts on specific nutrients to disease prevention as well as links to all the government agencies around nutrition. Lastly, it’s important to realise that when it comes to nutrition, there is no one-size fits all. Although general guidelines can be very helpful, not everyone is starting from the same position and we’re all somewhat unique in our nutritional requirements depending on our genes, our environment and our current state of health. For more information on available careers in nutrition please contact: 020 8614 7800 or visit https://www.ion.ac.uk/.